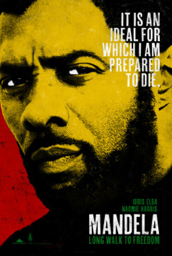 There're lots of criticism of this film about the man who changed the course of history of South Africa. Most of them centres around the fact that it tries to depict every major incidents in his life, making it somehow lacklustre bio film. I can see the point of these critique. There're far much superior documentary films on YouTube, and I must say, I enjoyed them much more than this film. One thing I really liked about this film was, it didn't shy away from portraying Winnie's criminality as a radical activist. This tension between the two is, for me, very interesting, and I wish the film focused on it more. Having all said that, the film gives us another opportunity to reflect on this great man's life and his achievement.